Dentures are an important part of helping you eat, speak and feel better about yourself and the way you look. 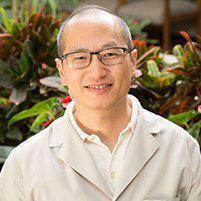 Dr. Peng uses advanced techniques to help patients in Gardena, CA, get dentures that fit well and look great so they can lead healthier, more confident lives. If I have full dentures, do I still need to see a dentist? Yes; caring for natural teeth is certainly an important part of dentistry, but it's just one part. Even if you no longer have your natural teeth, seeing a dentist regularly is still important for maintaining healthy gums, making sure your dentures fit properly, and screening for oral cancer. How long will it take for me to adjust to my dentures? Most men and women find they're able to adjust to their braces within a couple of weeks of receiving them. The length of time it takes you to adjust depends on how extensive your dentures are (that is, if they're partial or full dentures) and how often you wear them. To “speed up” the breaking-in period, wear your dentures as often as possible so your gums become used to the way they feel. Initially, you may feel your dentures are too large or your lips are protruding; these feelings are very common and resolve as you become more used to the way your dentures feel in your mouth. Will my dentures affect my speech? Initially, your tongue may feel “displaced” or you may feel awkward speaking as you normally would, especially if you have full dentures. To adjust more quickly during the breaking-in period, try practicing reading aloud for a few days so you become used to the way the dentures feel in your mouth while speaking. How can I prevent slippage? In most cases, dentures slip because they're not fitted properly or, in some cases, inadequate adhesive is being used to secure them. If you find your dentures are slipping, especially when you're eating or speaking, make an appointment with Dr. Peng to see if an adjustment can help.